Fiat reintroduced the Multipla in 1998 to capture the growing minivan market. Initial sales were slow as the controversial styling scared buyers away. 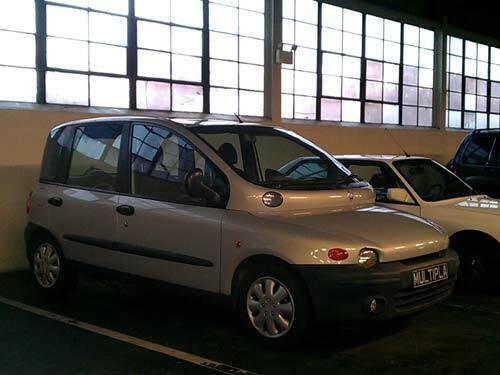 In 2004 the outside of the Multipla was redesigned to give it a more traditional shape. Sales skyrocketed as people realized this vehicle’s versatility and functionality. With each seat being separate, the passenger/storage spaces can be changed to suit individual owners. The Multipla also strove to make the controls close to the driver so it’s as if one were driving a car and not a van. The engine is mounted low in the front of the vehicle to keep the handling almost as nimble as a car. The Multipla remains in production to this day.